Mike Cordero is one of the most prolific restaurateurs in Arlington. He’s the man behind local hotspots like Don Tito, The G.O.A.T., Barley Mac, Bronx Pizza and soon — The Bronson and Taco Rock. Also, you might have seen him cruising the Rosslyn-Ballston corridor in his Bentley. On this week’s 26 Square Miles podcast, we talked with Cordero about his background, the success of his restaurants, the partnerships that helped build that success, and his new concepts. 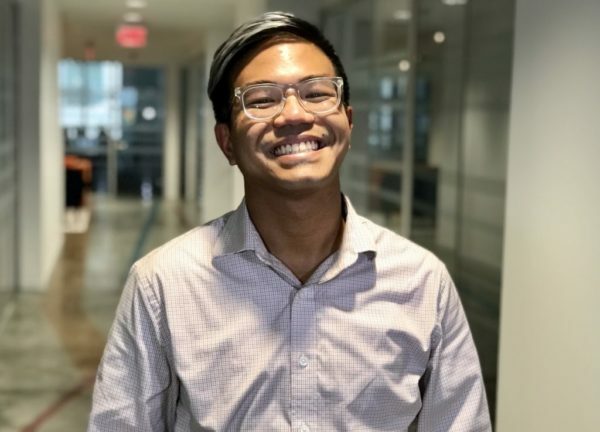 Alex is now reporting on real estate development at the Rosslyn-based Washington Business Journal, but you can hear from him on this week’s 26 Square Miles podcast. For more about his new employer, check out last week’s episode with WBJ Editor-in-Chief Doug Fruehling. Listen below or subscribe to the podcast on iTunes, Google Play, Stitcher or TuneIn. We used some new recording equipment this go-round, so please forgive the resulting audio glitches — we’ll try to get them ironed out prior to the next episode. 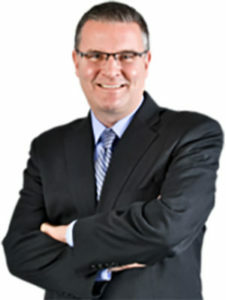 Doug Fruehling has had a two-decade career with the Washington Business Journal, assuming the top newsroom job of the Rosslyn-based publication in 2009. 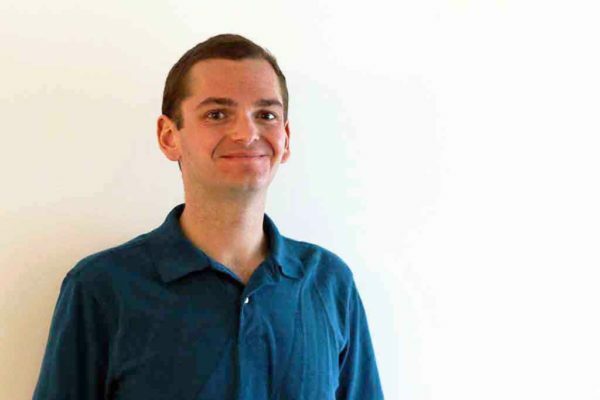 As editor-in-chief, Fruehling has been overseeing WBJ’s coverage of Amazon’s forthcoming HQ2 in Arlington. On the latest 26 Square Miles podcast, Fruehling discussed the ramifications of Amazon coming to “National Landing” and how the subscription-based Business Journal has managed to expand its coverage in the face of news industry struggles. Also discussed: WBJ’s hiring of current ARLnow editor Alex Koma. Amazon’s arrival in Arlington has been hailed as a massive boon for the county and the Commonwealth of Virginia. But are the incentives offered to the company worth the economic development benefits it promises to bring? We discussed Amazon and the HQ2 process with Michael Farren, a researcher at GMU’s Mercatus Center who studies the effects of government favoritism toward particular businesses. 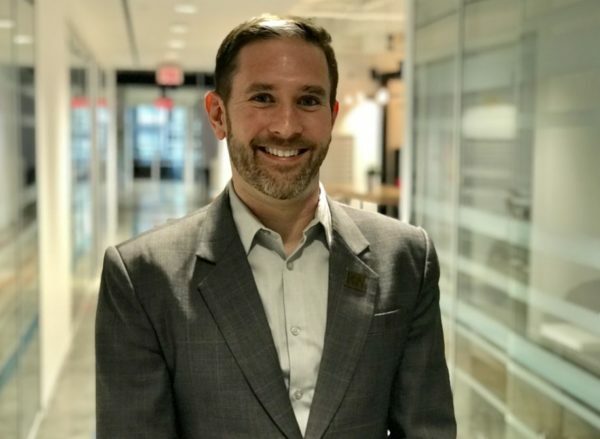 Facebook has been making headlines lately for all the wrong reasons, so we checked in with Justin Bensan, Social Communications Specialist at the Rosslyn Business Improvement District, to talk about what’s going on in the world of social media. This episode was recorded prior to Amazon’s HQ2 announcement, but we asked Justin about what it means for a place like Rosslyn nonetheless. 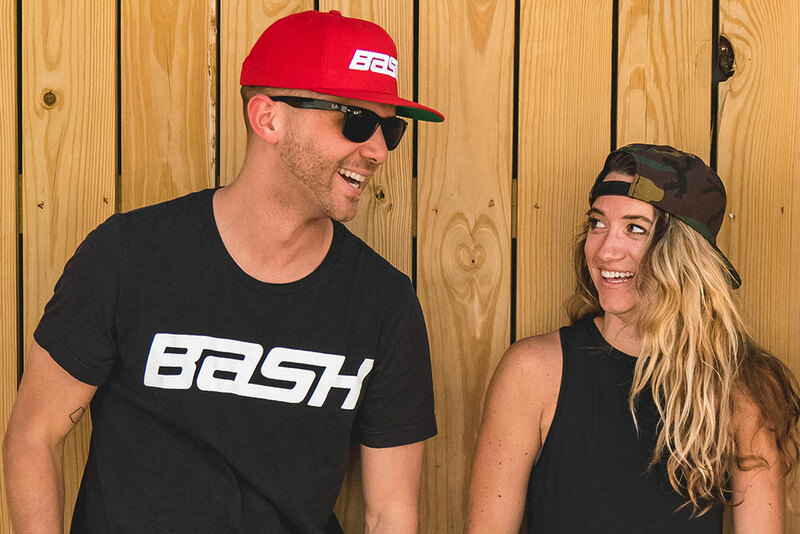 Local nightlife king Scott Parker is branching into fitness, launching BASH Boxing with fitness instructor and manager Alex Trakas. 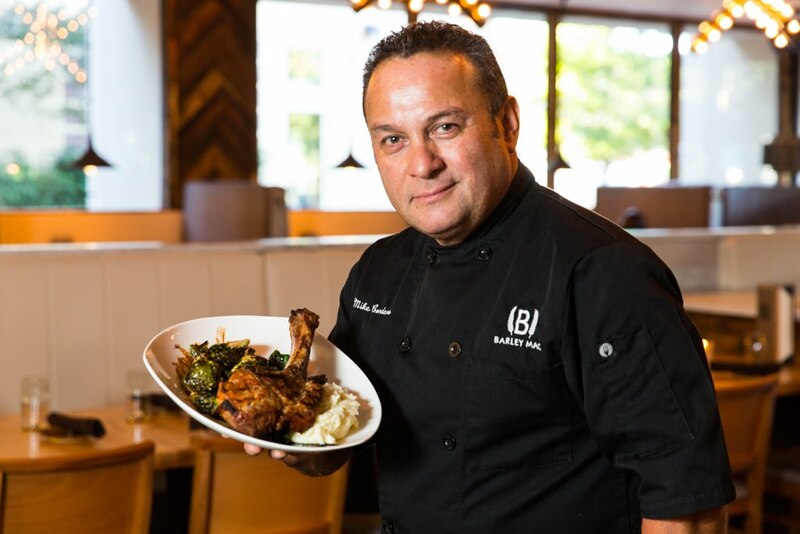 We asked Parker and Trakas about their new venture, which officially opens on Friday, Nov. 16 in Rosslyn and is also coming to Ballston Quarter mall. 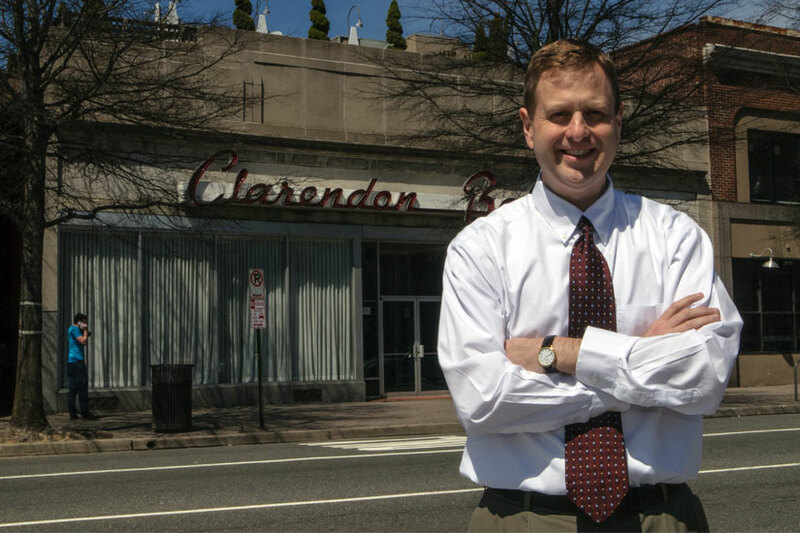 We also talked with Scott about the state of the local bar scene and about that time the Washington Capitals brought the Stanley Cup to Don Tito in Clarendon. Democrat Matt de Ferranti, left, and independent John Vihstadt at an Oct. 10 Committee of 100 debate. Democrat Matt de Ferranti, right, and independent John Vihstadt at an Oct. 10 Committee of 100 debate. Arlington’s lone County Board race this fall has largely been a genteel affair so far, but Democratic challenger Matt de Ferranti is sharpening his attacks on incumbent John Vihstadt’s record, claiming the independent hasn’t done enough to address the county’s high office vacancy rate. County officials of all stripes have long identified Arlington’s challenges filling vacant office space in corridors like Crystal City and Rosslyn as a prime reason that the county’s tax revenues have shrunk, squeezing its budget and creating a whole host of challenges for the county government. Accordingly, both Vihstadt and de Ferranti have made the issue a central one for their respective campaigns, particularly because whoever wins a spot on the Board will likely need to wrestle with a budget that includes tax increases to tackle those revenue challenges. 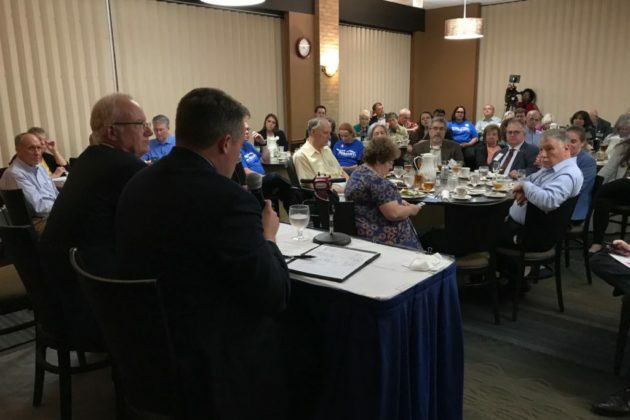 Yet the Democrat has pledged a laser focus on the issue in recent debates and forums, and the Committee of 100 Board debate on Wednesday (Oct. 10), moderated by ARLnow’s Scott Brodbeck, was no exception. De Ferranti even went a step further to critique Vihstadt’s handling of the vacancy rate since he first won a special election four years ago, when he became the first non-Democrat on the Board since 1999. Vihstadt pointed out that the county has successfully lured major companies during his tenure, with few bigger than Nestle and Gerber, in addition to smaller firms like trade associations and tech companies. “We need green tech, med tech, cybersecurity and so forth,” Vihstadt said. De Ferranti agrees on that point, but noted he’s been discussing the prospect of luring those industries to Arlington since his successful primary campaign this spring, charging that Vihstadt was coming to that particular talking point a bit late in the game. The spat over the office vacancy rate also carried over to perhaps the most contentious topic in Arlington at the moment: whether Amazon’s potential arrival in the county should be welcomed, or feared. 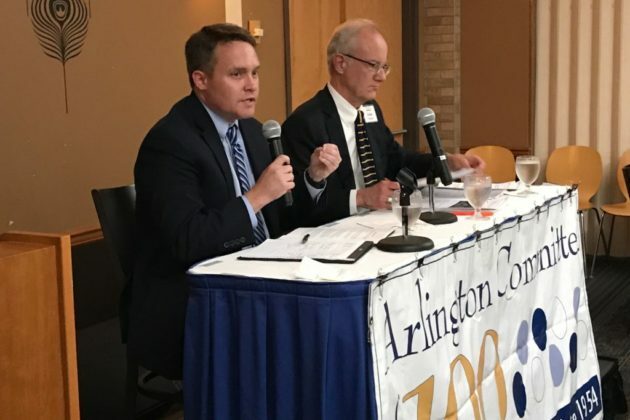 Vihstadt, as he has for months now, struck a cautious tone on the matter, noting that the county winning HQ2 would be a “mixed bag” in terms of its impacts on Arlington. “We need to confirm the purported positives of this development coming to Arlington, but we also need to be mindful about addressing mitigants and negatives,” Vihstadt said. De Ferranti acknowledged that caution is warranted, given the myriad ways in which the sudden arrival of 50,000 Amazon workers could disrupt the county’s housing market and strain its infrastructure. 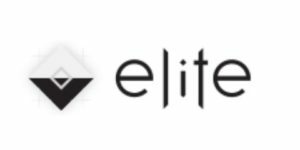 But he was also considerably more bullish on how the company could solve the very problem he spent so much time discussing, should Jeff Bezos follow through on the rumors and tab Crystal City for his second headquarters. You can listen to the entire debate on this week’s edition of the 26 Square Miles podcast. The Metrorail system has been “rebuilding” for years and now has a dedicated stream of funding. On top of that, its general manager just received a big vote of confidence from the Metro board: a new contract and a sizable raise. 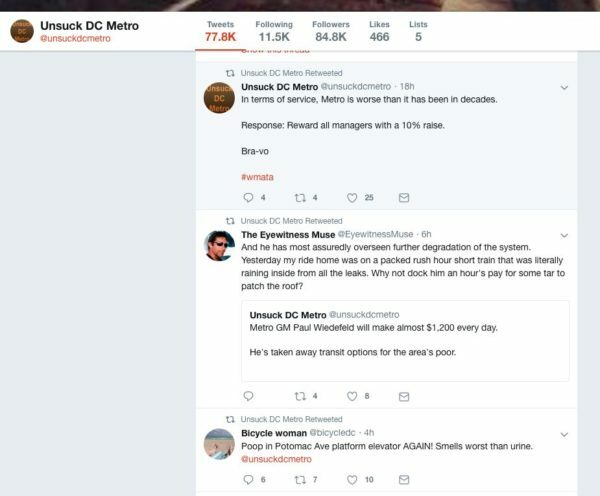 On today’s 26 Square Miles podcast we talked with the semi-anonymous creator of Unsuck DC Metro, a blog and Twitter account that is perhaps Metro’s biggest and most vocal critic. We talked about Paul Wiedefeld’s new contract, his adversarial relationship with Metro’s main union, the system’s new railcars and more — and tried to arrive at an explanation for why Metro is in its current state. Justin Tirelli is currently an Arlington County Fire Department captain, but 17 years ago he was a rookie firefighter in the ACFD ranks. 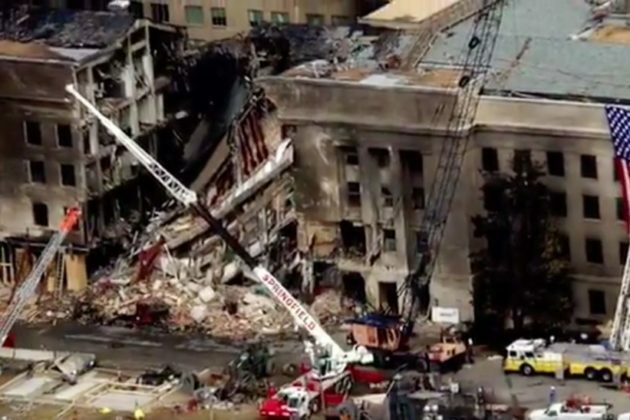 On the morning of Sept. 11, 2001, Tirelli was responding to a fire call in Rosslyn when American Airlines Flight 77 struck the west side of the Pentagon. 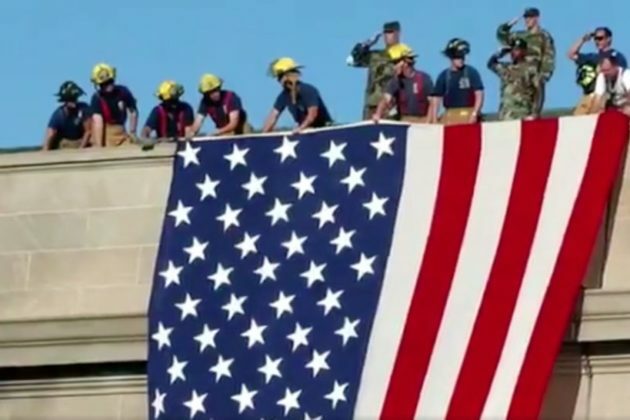 As his engine company was diverted to join the massive and heroic emergency response to the terror attack, Tirelli and his fellow firefighters focused on the task at hand — not realizing that it would change them and the community they served forever. 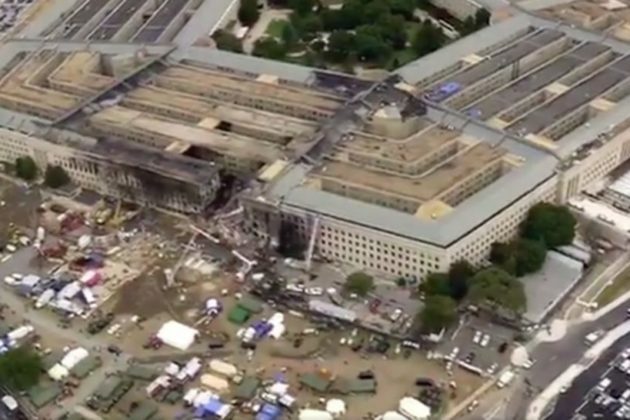 In this special episode of the 26 Square Miles podcast, we talked with Tirelli about what it was like to be a first responder at the Pentagon on that fateful day. 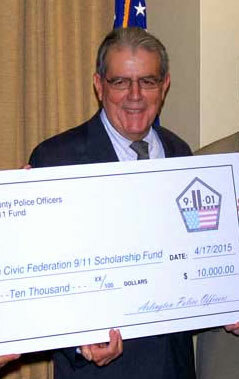 For more than two decades, Jim Pebley worked to make Arlington a better place. Pebley, a retired U.S. Navy commander, last year moved to a more leisurely locale in North Carolina, but not before receiving plenty of plaudits for his civic involvement from across the political spectrum. We decided to check in with Jim, see how he’s doing and get his take on the current state of the county. We covered a variety of local topics, including the safety of Reagan National Airport, the cost of school construction, the potential of Amazon’s HQ2 in Arlington and why he decided to decamp for elsewhere.